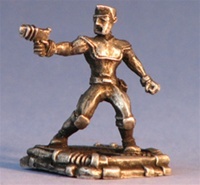 Hand painted pewter Schlock mini. 30mm scale. 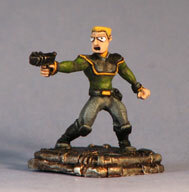 Based on Schlock Mercenary by Howard Tayler, www.schlockmercenary.com. Sculpted by Drew Olds. 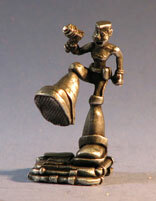 Schlock Mercenary Copyright ©Howard Tayler 2000-2010 and used by permission of Howard Tayler. Based on Schlock Mercenary by Howard Tayler, www.schlockmercenary.com. 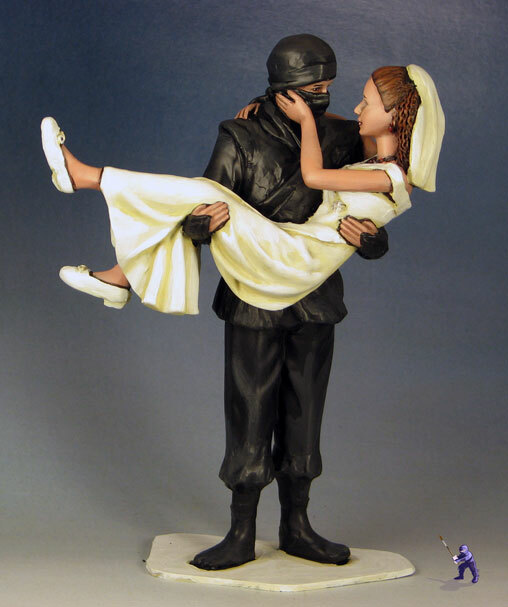 Sculpted by Melissa Mayhew. 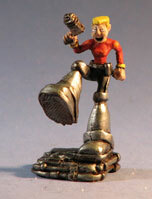 Schlock Mercenary Copyright ©Howard Tayler 2000-2010 and used by permission of Howard Tayler. Pewter Tagon mini with patina finish. 30mm scale. Pewter Schlock mini with patina finish. 30mm scale. 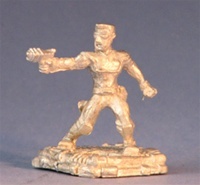 Unfinished pewter Schlock mini. 30mm scale. 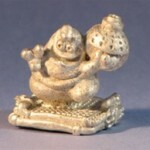 Hand painted pewter Elf mini. 30mm scale. 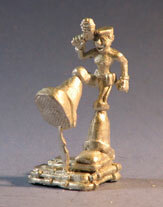 Pewter Elf mini with patina finish. 30mm scale. 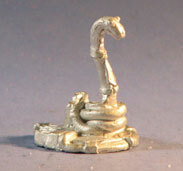 Unfinished pewter Elf mini. 30mm scale. 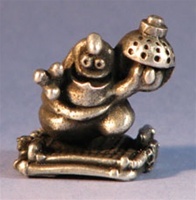 Hand painted pewter Attorney Drone mini. 30mm scale. Painted pewter Attorney Drones, three for the price to two! Each Drone in your set will have a different colored tie. 30mm scale. Pewter Attorney Drone with patina finish. 30mm scale. Unfinished pewter Attorney Drone. 30mm scale. 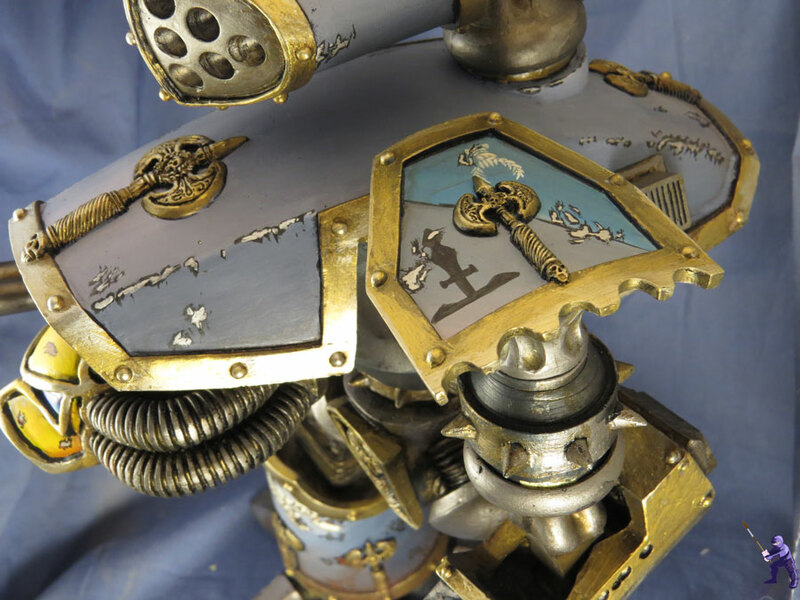 Pewter Attorney Drones with patina finish, three for the price to two! 30mm scale. Unfinished pewter Attorney Drones, three for the price to two! 30mm scale. Unfinished pewter Petey. 30mm scale. 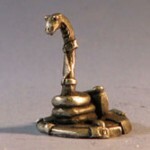 Finished pewter Petey. 30mm scale. 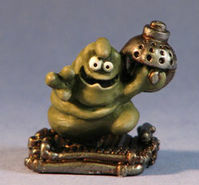 Hand painted Petey miniature. 30mm scale. 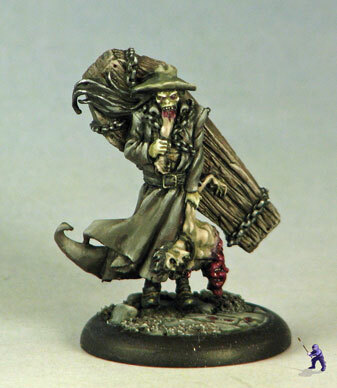 Due to demand, hand painted minis may take up to three weeks to ship.